Are you a fan of "My Little Pony" or know someone who is? These patches are great to decorate apparel, bags, or any other type of clothing. 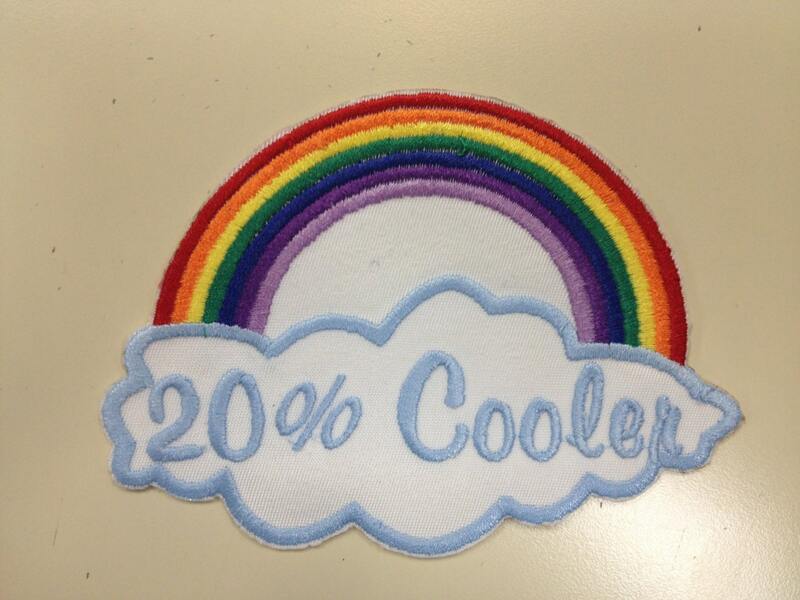 The 20% Cooler patch is approximately 4.5"W X3" H The text is embroidered in a light blue thread. 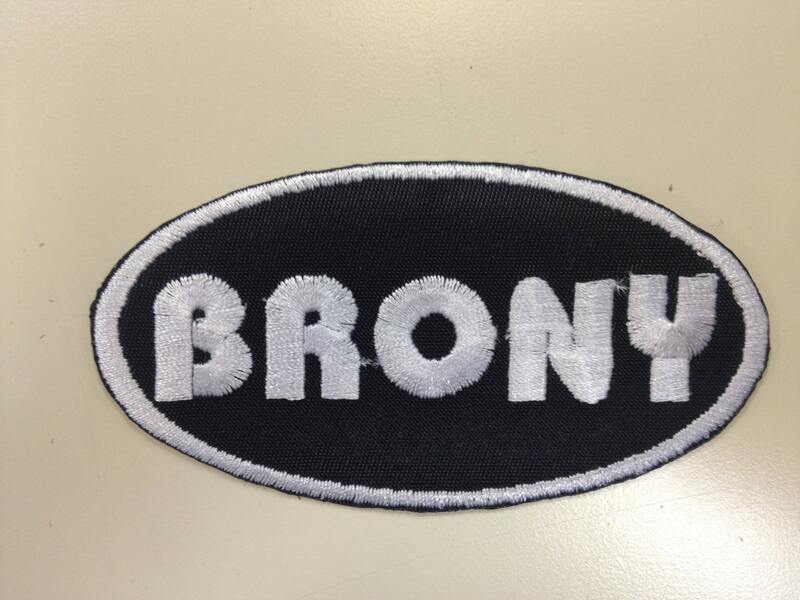 The oval Brony patch is approximately 4" W X 2" H with a white border and white text with a black background. Save money by combining patches with your order. First Class USPS shipping within the USA.